At first glance, they were just molds in a Rhode Island field, stored in the tall grass out back at Little Harbor Yachts in Portsmouth. Those wearing a big spray-painted X were destined for the scrap heap. Here was a boat worth building. 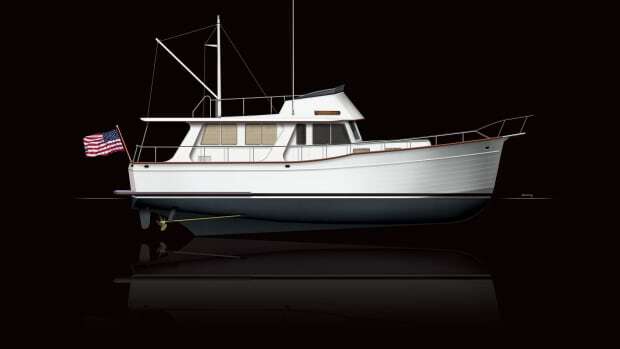 The object turned out to be the mold for the Wasque 26, one of a trio of single-engine fishing boats that came out of Martha’s Vineyard, Massachusetts, beginning in 1969 (see Origins sidebar). 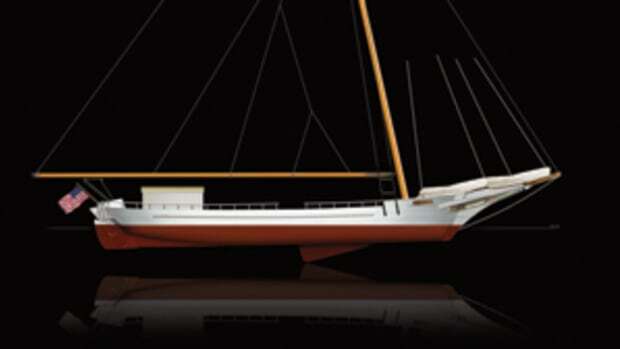 Alden Yachts designed the 26, and David Thompson at Vineyard Yachts built it on the island. 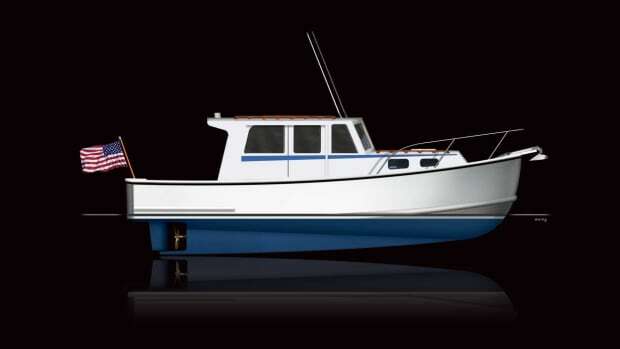 The 21-, 26- and 32-foot Wasque models, named after an island fishing ground, enjoyed a 16-year production run before Thompson retired and closed up shop in 1985. The molds were dispersed; the one for the Wasque 26 had kicked around for a decade by the time Chris Hood saw it in the field, beginning its rescue, resurrection and transformation — and the birth of a fleet of modern Wasques. C.W. Hood offers the Wasque 29, a couple’s dayboat/overnighter powered by a Yanmar diesel inboard/outboard. At that time, the mold was a still a mystery. “I knew right away I wanted to build this boat, but what was it?” Hood says. The mold was loaded onto a truck and brought to C.W. Hood Yachts, which was in Bristol, Rhode Island, at the time. That’s where construction began. As Hood says, “so began a wonderful run.” Forty-five of the Wasque 26s have been built since the debut in 1995, followed by 29- and 33-foot sister ships that continue the Wasque line into the 21st century. All that he and building buddy Chris Stirling had to go by was an empty hull mold. Not for long, however. The Wasque 33 is powered by twin Volvo Penta IPS pod drives and is available with the traditional Wasque soft top or as a sedan/flybridge. Just in time, too. Shortly afterward, C.W. Hood took its first order for the new Wasque 26. A lot had changed since the 1970s, and there were improvements to make. The engine was moved aft and replaced with one that was compact. The smaller engine box made more room in the cockpit, permitting new seating arrangements. Other additions included opening portholes, hand-holds, extra stowage and simpler-to-manage systems. After the debut of the new 26, people soon came asking Hood for an updated version of the 32. Startup costs proved too high without a hull mold to work from, so the answer was to seek out one in the Wasque tradition that C.W. Hood could finish. 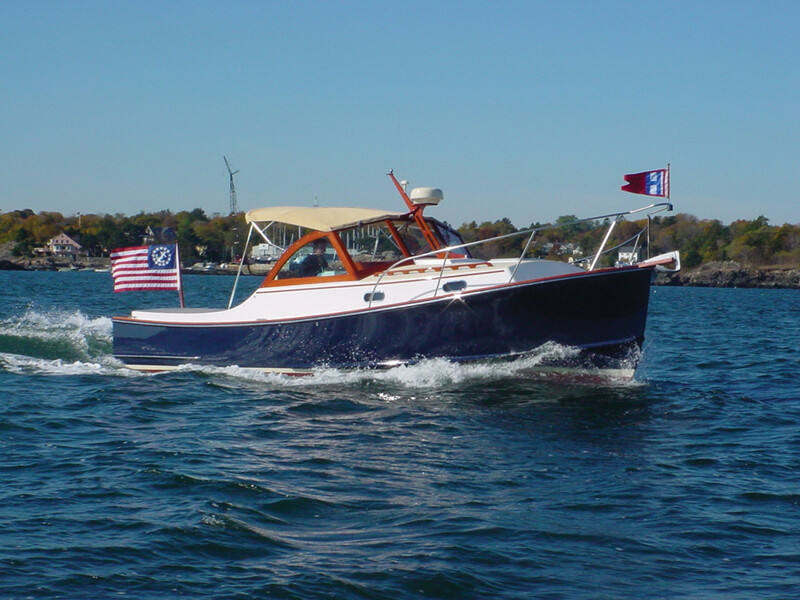 It was found in a Royal Lowell-designed hull that Jarvis-Newman built in Maine and became the new Wasque 30, debuting in 1999. One look at this Wasque 30 underway, and it’s easy to see why these lines have consistently attracted such loyal fans. 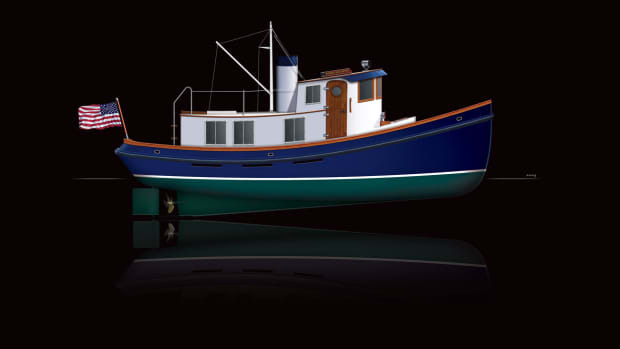 The original Wasques were designed and equipped as fishing boats, suited to the varied waters off Martha’s Vineyard. The modern versions are intended to serve as multiuse dayboats, overnighters and weekenders, with a galley, enclosed head and versatile accommodations. The cockpit, once home to a trio of fishermen or a fighting chair, now has seating and space for water toys and socializing. More than 80 Wasques were built on Martha’s Vineyard, and C.W. Hood has produced more than 50 of the new versions. The Wasque 26 has been the most popular, with some 75 built by both companies. Wasques of both generations are found on the used boat market, and Hood is asked to care for many of the boats that he and Vineyard Yachts built. More Wasques are on the way, too. C.W. Hood also offers the Wasque 29, a couple’s dayboat/overnighter powered by a Yanmar diesel inboard/outboard, and the Wasque 33, a fast boat for family cruising. Power on the 33 comes from twin Volvo Penta IPS pod drives, and the boat is available with the traditional Wasque soft top or as a sedan/flybridge. Both the 29 and the 33 are built at the Hood facility in Marblehead. 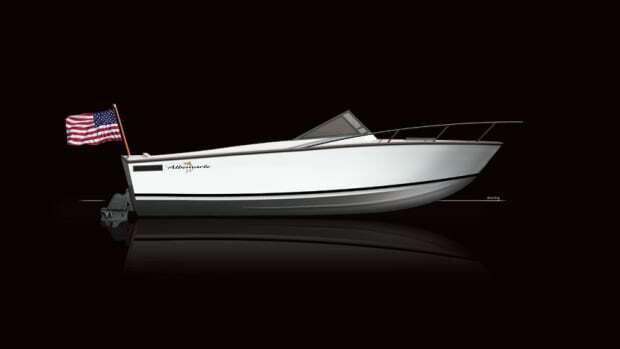 “What a beautiful boat!” That was John Dughi’s reaction the first time he saw a Wasque 26. “I had no idea what it was, and it took several days of asking to find out — and to learn how to pronounce it. Way-squee,” the New Jersey skipper says. Dughi now owns a 13-year-old Hood-built model. “Our pride and joy for three seasons,” he says. 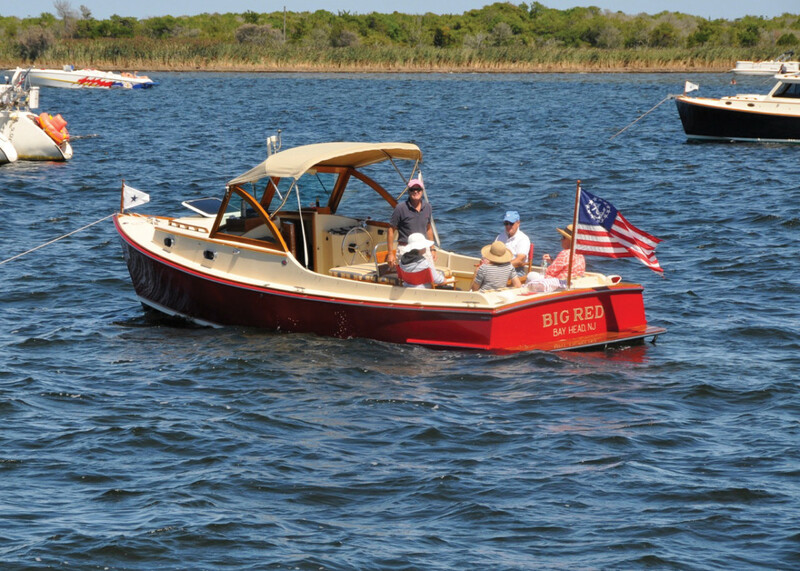 Big Red is a family cruiser and fishing boat. 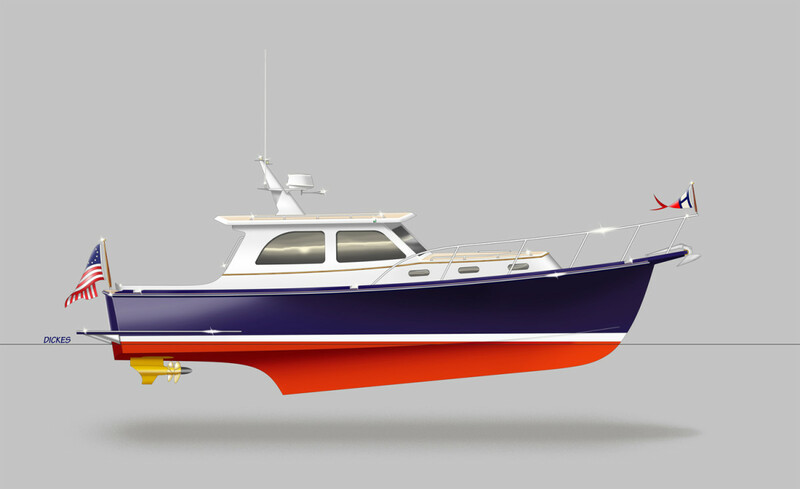 “She can be stripped and ready for fishing in minutes and then set up for a cocktail cruise just as easily,” Dughi says. Matthiessen’s descriptions show what kind of a boat Merlin was: a fishing boat. “The bluefishing was strong and steady, and offshore, the school tuna were so thick that by leaving one fish on the line while boating the other three, we could keep all four lines loaded almost continually,” he writes. Merlin could fish for tuna at the 80-fathom line or work the shallows of Cartwright Shoal, teeming with “small, 3-pound ‘tailor’ bluefish that bit as fast as the hand lines were tossed overboard,” Matthiessen writes. Matthiessen left charter fishing in the late 1950s and sold Merlin to his brother, Carey, who lived on Martha’s Vineyard. Carey in turn sold the boat to shipyard owner and fisherman Tom Hale. Hale, along with fishing buddies Robert Thompson and Bob Love, used it to fish the waters of the Vineyard. One of their favorite spots was Wasque Point, on Chappaquiddick Island. On a fishing trip, they began talking about building a 32-foot fishboat out of fiberglass, using Merlin as a plug. 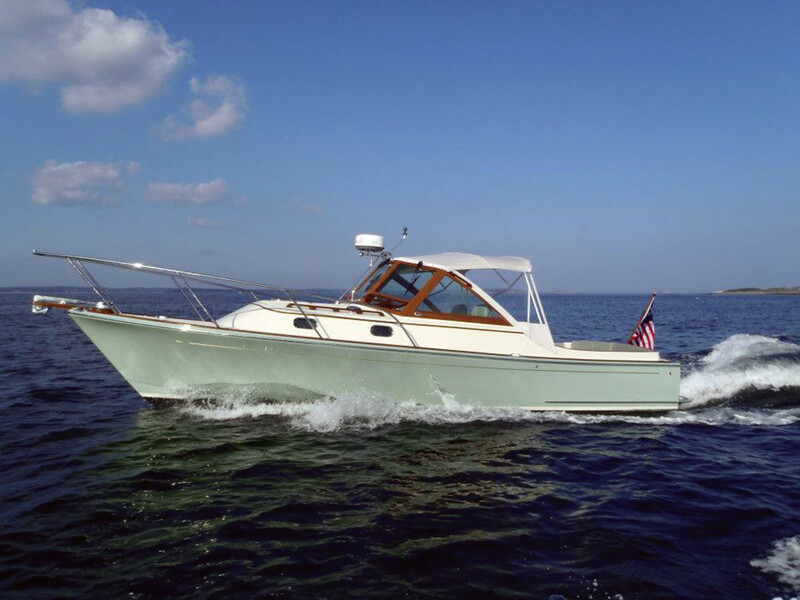 In 1969, Vineyard Yachts opened its doors on the island, with Thompson’s son, David, building a boat called the Wasque 32. 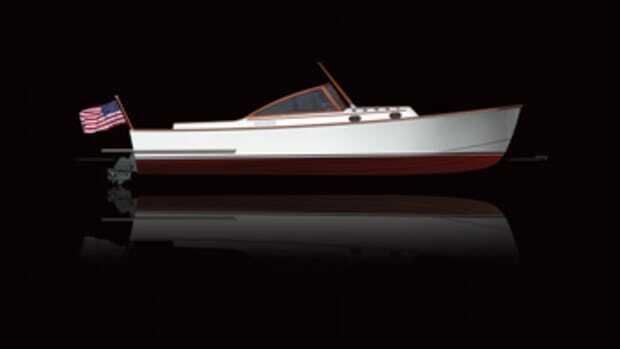 Postscript: Vineyard Yachts closed up shop in the mid-1980s, and the mold for the Wasque 32 was put on a truck, bound for the W.R. Schock yard in California. The truck ran off the road in Arizona, and the mold was destroyed. The original Merlin remained a working boat on the island until it was destroyed by fire in July 2010. 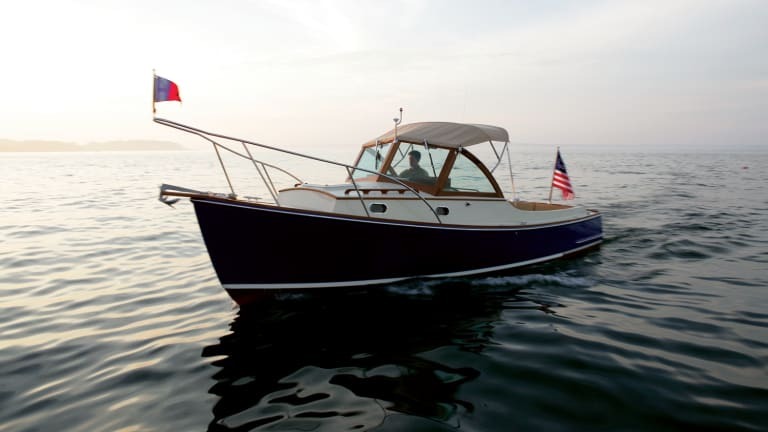 The Katama 30 is a Wasque cousin, a more modern family boat in the same New England style. In 1999, a client contacted C.W. 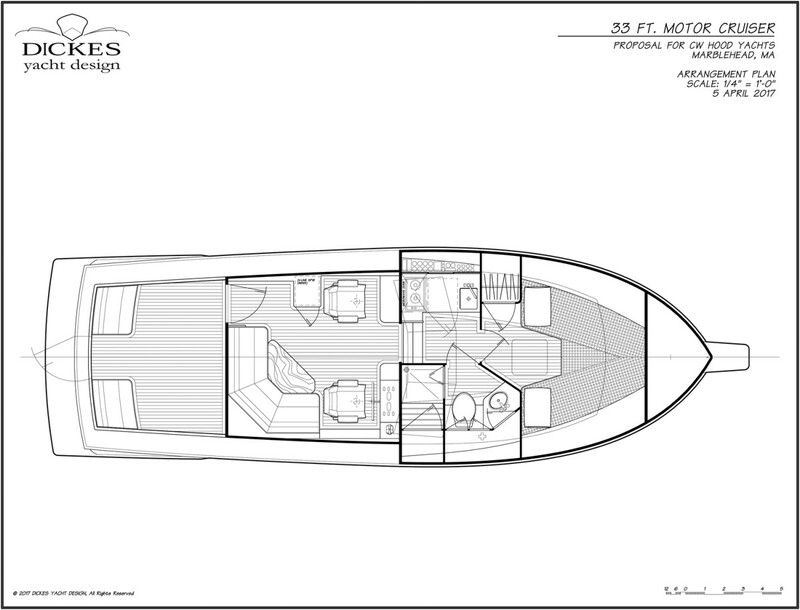 Hood Yachts asking for a 30-foot, commuter-style tender for a large sailing yacht. It would be powered with a jetdrive and be capable of 30-knot speeds, with overnight accommodations. “I was intrigued,” says Hood, who sketched some profiles. Standard propulsion would be a Yanmar 440 diesel coupled with an Ultrajet jetdrive, and it would be called the Katama 30. Though the client changed his mind, Hood liked what he’d drawn up. “I thought I had a pretty good boat, and we decided to build it ourselves,” he says. 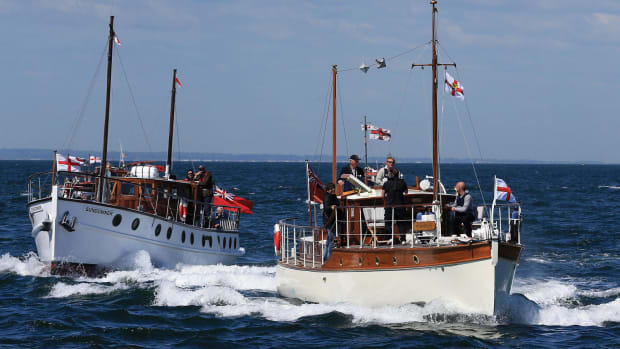 The boats were built in Gdansk, Poland, known for its ship- and boatbuilding heritage, using vacuum-bagged, cored construction and vinylester resins. 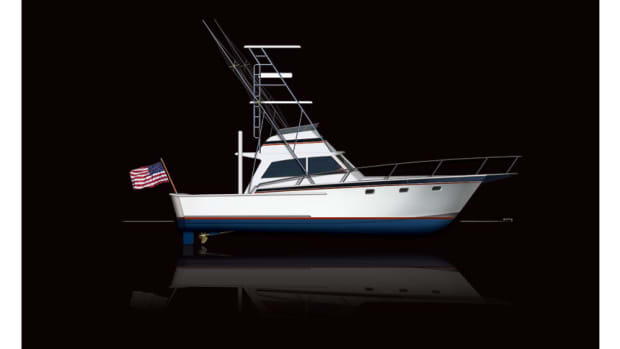 Hood insisted on using U.S.-made gear and accessories, right down to bilge pumps and varnishes. “I wanted to make sure a mechanic in the U.S. could get into the boats and see all familiar equipment,” he says. In May 1940, some 385,000 Allied soldiers needed rescuing from the shores of northern France. The 1950s and ’60s were a time of great activity and innovation in the boating world, with new boats and a new audience waiting to buy them.